Gatineau's Spring Into Summer Collection in 'Dark' combines everything you need to leave skin feeling soft, supple and cleansed with a restored youthful feeling. A gentle cleanser that delicately yet effectively lifts away makeup from the eyes and face. Expertly dissolving makeup, the micellar cleanser will leave skin feeling soft, supple, purified and refreshed. Suitable for all skin types. Free from alcohol, parabens, colour and silicones. A lightweight eye treatment that instantly adjusts to your skin tone to lightly conceal dark circles and imperfections. Hydrating and skin-smoothing, the eye cream helps to transform tired eyes, smoothing their appearance while enhancing radiance and deeply nourishing. 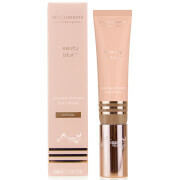 A deeply hydrating and anti-ageing tinted moisturiser. Lightweight and protective, the brightening moisturiser delivers a sheer wash of radiance onto skin; its unique peptide formula helps to improve collagen and elastin production while promoting a firmer-looking complexion. Blending Liquorice Root Extract with Hyaluronic Acid, Vitamin B3 and SPF 30, the formula aids in defending against premature ageing and external attacks while calming redness. Expect a smoother, brighter, more even-looking complexion with an incredibly hydrated finish. Can be worn alone or layered under foundation for an enhanced glow. A best-selling restorative gel formula that works to visibly firm and lift the appearance of delicate skin around the neck and décolleté. Moisturising and regenerative, the smoothing gel is formulated with a high concentration of Wheat Proteins for an immediate tightening effect, plus powerful vitamins and Sunflower Oil to leave vulnerable skin feeling smooth and lifted. Delicate skin around the neck and décolleté looks noticeably firmer with improved protection and smoothness. Cleanser: Pour onto 2 cotton wool pads and place over each eye. Allow the liquid to dissolve make-up and wipe away after 30 seconds. Pour onto 2 cotton pads and gently sweep over the skin, removing make-up and impurities. Eye Cream: Apply a small amount under and around the eye contour, over the eye lids and directly under the brow, pat gently to blend. Can be worn alone or under / over makeup as preferred. 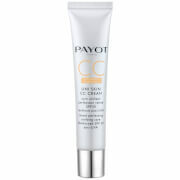 Complexion Cream: Apply after your daily serum using your fingertips. Use alone for a naturally flawless finish, or layer under foundation to customise your coverage. Throat Gel: Apply morning and evening before your moisturiser, from the décolleté up to the jawline, using gentle upward strokes. Cleanser: Aqua ((Water) Eau), Propanediol, Butylene Glycol, Octyldodeceth-25, Sodium Cocoyl Glutamate, Tromethamine, Tetrasodium Edta, Diazolidinyl Urea, Caprylyl Glycol, 1,2-Hexanediol, 23713. Eye Cream: Aqua/Water/Eau, Cyclopentasiloxane, Dimethicone, Tribehenin, Peg-9 Polydimethylsiloxyethyl Dimethicone, Phenyl Trimethicone, Mica, Glycerin, Boron Nitride, Trimethylsiloxysilicate, Disteardimonium Hectorite, Dimethicone/Peg-10/15 Crosspolymer, Butylene Glycol, Nylon- 12, Sodium Chloride, Ginkgo Biloba Leaf Extract, Panax Ginseng Root Extract, Camellia Sinensis Leaf Extract, Tocopheryl Acetate, Niacinamide, Sodium Hyaluronate, Hydrolyzed Glycosaminoglycans, Centaurea Cyanus Flower Extract, Vitis Vinifera (Grape) Seed Extract, Melanin, Aloe Barbadensis Leaf Juice, Polyester-1, Polyglyceryl-3 Diisostearate, Xanthan Gum, Triethoxycaprylylsilane, Dimethicone Crosspolymer, Dimethiconol, Silica Dimethyl Silylate, Methicone, Tetrasodium Edta, Maltodextrin, Dipropylene Glycol, Sodium Citrate, Tocopherol, Propylene Glycol, Phenoxyethanol, Methylparaben, Ethylparaben, Iron Oxides (Ci 77491, Ci 77492, Ci 77499), Titanium Dioxide (Ci 77891), 25000. Complexion Cream: Aqua ((Water) Eau), Ethylhexyl Methoxycinnamate, Dimethicone, Titanium Dioxide [Nano], Ethylhexyl Salicylate, Neopentyl Glycol Diheptanoate, Butylene Glycol, Glycerin, Pentaerythrityl, Tetraisostearate, Phenyl Trimethicone, Glyceryl Stearate, Tridecyl Trimellitate, Isotridecyl Isononanoate, Isostearic Acid, Boron Nitride, Alumina, Palmitoyl Tripeptide-5, Acetyl Hexapeptide-8, Glycyrrhiza Glabra (Licorice) Root Extract, Vitis Vinifera (Grape) Fruit Extract, Saxifraga Sarmentosa Extract, Sodium Hyaluronate, Hydrolyzed Glycosaminoglycans, Scutellaria Baicalensis Root Extract, Morus Bombycis Root Extract, Ascorbyl Glucoside, Niacinamide, Dipotassium Glycyrrhizate, C13-14 Isoparaffin, Xanthan Gum, Simethicone, Laureth-7, Lecithin, Sorbitan Laurate, Polysorbate 20, Propylene Glycol Laurate, Propylene Glycol Stearate, Methicone, Stearic Acid, Steareth - 2, Tromethamine, Polyacrylamide, Polymethyl Methacrylate, Steareth-21, Phenoxyethanol, Methylparaben, Ethylparaben, 23863. May Contain: Mica, Titanium Dioxide (Ci 77891), Iron Oxides (Ci 77491, 77492, 77499. Throat Gel: Aqua, Acrylates/Vinyl Isodecanoate Crosspolymer, Butylene Glycol, Helianthus Annuus Seed Oil, Nylon-12, Tromethamine, Caprylyl Glycol, Sodium Polystyrene Sulfonate, Saccharide Isomerate, Laureth-4, Parfum, Sorghum Bicolor Stalk Juice, Polyvinyl Alcohol, Glycerin, Diazolidinyl Urea, Tocopheryl Acetate, Ethyl Oleate, Ethyl Linoleate, Potassium Sorbate, Sodium Benzoate, Menthol, Saccharomyces Lysate, Ethyl Linolenate, Citric Acid, Sodium Citrate, Hydrolyzed Wheat Protein, Phenoxyethanol, Disodium Succinate, Glutamic Acid, Glycine, Propylparaben, Threonine, Valine, Methylparaben, Butylparaben, Ethylparaben, Ethylhexylglycerin, FD&C Yellow No.6 (Ci 15985).